Hello -- I am emailing you because despite my best intentions, I am finding it impossible to be available during the school day for these webinars (I missed last Wednesday's - Peaceful Playground one that I was registered for and can't free up an hour today for the Recess before Lunch) - I imagine that this is not a unique situation since they are geared for school employees, yet broadcast during our direct service times with students, so I'm wondering if there is a solution already in place for folks like me. My tech./media specialist suggested I email you and explain the conflicts and said that perhaps you can post it as a "podcast" (???) for me to view outside of school hours. 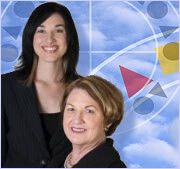 We will try to tape the webinar today and send the audio file. I will also see about offering some webinars later in the day to see if the attendance changes. We are getting really good attendance with the mid-day webinars but I'm certainly open to suggestions. 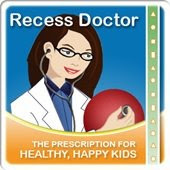 Here's the link to a podcast on the topic of Recess Before Lunch which is very much like the webinar. Thanks for the inquiry and suggestion!